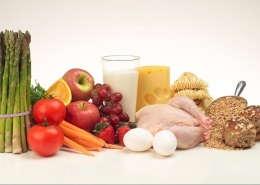 Diet plays an important role in fertility and pregnancy. According to American Pregnancy Association, a nonprofit organization engaged in promoting activities which enhance reproductive health, if you are seeking increased fertility and normal ovulation, you should make dietary changes optimally around 3 to 12 months before actual attempts to make sure that they work. However, if you are already trying to conceive, it does not mean that diet change would not work, and you should start on your new improved diet plan for a healthy pregnancy and try the following fertility foods. 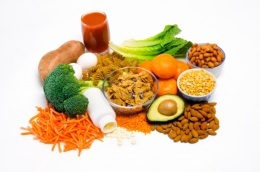 Folic acid is a synthetically produced form of folate, which is a naturally occurring vitamin found in foods. It is essential for cell division and growth, and is required a lot during pregnancy. For this reason, you must include around 500 mg of folic acid in your diet from around a year before you plan to have your pregnancy. The requirement for the supplement doubles during pregnancy, and you should take at least 800mg of folic acid during pregnancy. This will ensure less chance of birth defects in the baby in addition to a healthy pregnancy. Studies have shown that rate of pregnancy is almost double for couples who have a high protein and low carb diet, as compared to couples with a low protein and high carb diet. The reason is that a high protein diet will guarantee better quality of eggs. While trying to add proteins to your diet, make sure you add high quality proteins that have all the required amino acids. The best sources of such proteins are egg whites, poultry, and fish. 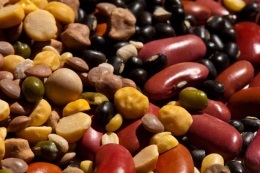 Beans and legumes are also rich sources of high quality proteins. 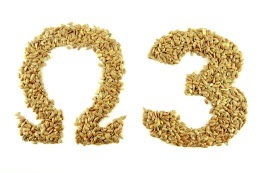 Omga-3s are essential for a baby, and you should consume plenty of healthy fats during pregnancy to have a healthy baby. These healthy fats are also responsible for the right functioning of your hormones, and thus you must have them in your diet while trying to have a pregnancy. You must strive to ensure 1000-2000 mg of omega-3 fatty acids in your diet, which can be done by including 2 ounces of fish or 6 teaspoons of walnuts, Chia seeds, or flaxseeds in your diet plan. 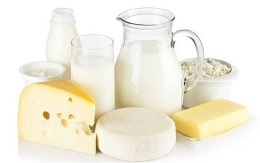 Dairy products have calcium, fats, and proteins, which make sure that your body is prepared for a baby and thus improve your health while you are pregnant. A study has shown that using full fat milk reduces chances of infertility, so if you use only skim milk, it would be a good idea to consume a little low fat or full fat milk. As iron is essential for improved quality of eggs in women, you would do well to include some form of iron in your diet plan. Heme iron is the form of iron that our bodies can absorb with ease. 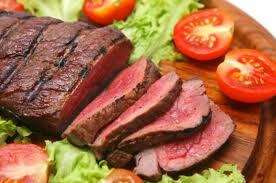 In order to have a good supply of Heme iron, you should have salmon, red meat, and chicken. You should also add foods with vitamin C to your diet, as vitamin C helps your body in absorbing iron. 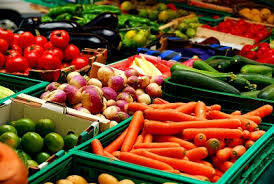 Colored vegetables are a great source of different nutrients that are essential for a healthy living. 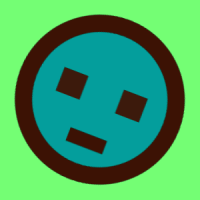 Mostly, the color of the vegetable indicates the nutrients present in it. Dark green vegetables contain plenty of vitamin B6, which helps a lot in regulating hormones. This is the reason why leafy vegetables positively affect fertility. Vitamin C is found in vegetables that are red or green in color. Sulfur is found plentiful in white vegetables, whereas orange vegetables have a lot of vitamin A. The best way to ensure that your intake of nutrients is adequate is to have all the different colors of vegetables in your diet. Lentils are the second highest source of iron and folic acid in all foods. If you take a cup of lentils, it would almost be sufficient for your entire daily folic acid requirement. Garbanzo and pinto beans also contain a lot of iron and folic acid, with which you can make a lot of different dishes. As mentioned earlier, fish is a great source of fatty acids, which are responsible for a number of essential functions in our body, including menstrual cycle’s regulation, inflammation reduction, and hormone production. 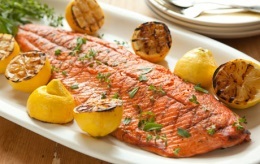 It is better to eat cold water fishes, like salmon, cod, wild Alaskan salmon, and Alaskan halibut, than eat deep water fishes, which contain harmful mercury concentration in quantity. To learn more about fertility foods, check out the video below. Fertility can be affected adversely by the consumption of certain foods as well, and it is best that you stay away from them when trying to get pregnant. Bottled juices contain a high amount of sugar in them, which can affect the hormonal as well immune system adversely. Thus, it is imperative that such juices and sugary food items be avoided at all cost and replaced by maple syrup and honey. Caffeine is another no-no when it comes to fertility. Research has revealed that caffeine consumption is responsible for miscarriages and can also disrupt the process of ovulation. Thus, it is necessary to stay away from caffeine if you want to increase your fertility. Soy foods have the tendency to adversely affect the hormone system, so it is recommended that soy foods in processed form, like soy chips, soy milk, soy meats, and soy burgers, should not be consumed by either partner when trying to get pregnant. GMO or Genetically Modified foods are responsible for the declining sperm counts in men. Thus, if you want to increase your fertility, it is high time that you started avoiding such foods. Fat-free foods are good for health but not for increasing fertility. The reason is simple: the fat we eat is used in the production of hormones necessary for fertility. Accordingly, choose fatty foods over fat-free foods if you want to increase your fertility.